Family Codewords is the perfect magazine for the code-cracking codeword fan. In addition to regular codewords, there are lots of other code-related puzzles including squared off, star codeword, continuous, linked up and more. 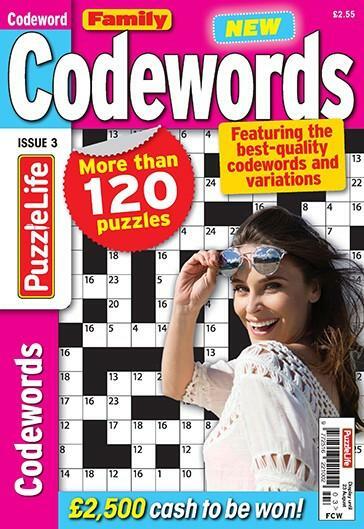 With more puzzles than the market leader, it's the best value codewords magazine on the shelf. Be the first person to tell us what you think about Family Codewords and you'll save £2.50 on your next purchase!